On April 5, 1955 Chicagoans elected Richard J. Daley their 48th mayor. A new era was beginning. But at the time, few people realized it. Forget what you know about the original Mayor Daley. Put yourself back in 1955. Old-line Democrat regulars like Alderman Paddy Bauler thought Daley would be just another one of the boys. The new mayor didn’t seem like anything special. The only child of an Irish sheet-metal worker, Daley was born in 1902. He grew up in Bridgeport, went to law school at night, and became part of the 11th Ward party organization. In 1936 he was elected to the Illinois House. Two years later he moved over to the Illinois Senate. Daley steadily climbed the political ladder. He became 11th Ward Committeeman. He became one of the party’s leaders in the legislature. In 1953 he was elected chairman of the Cook County Democrat Party. 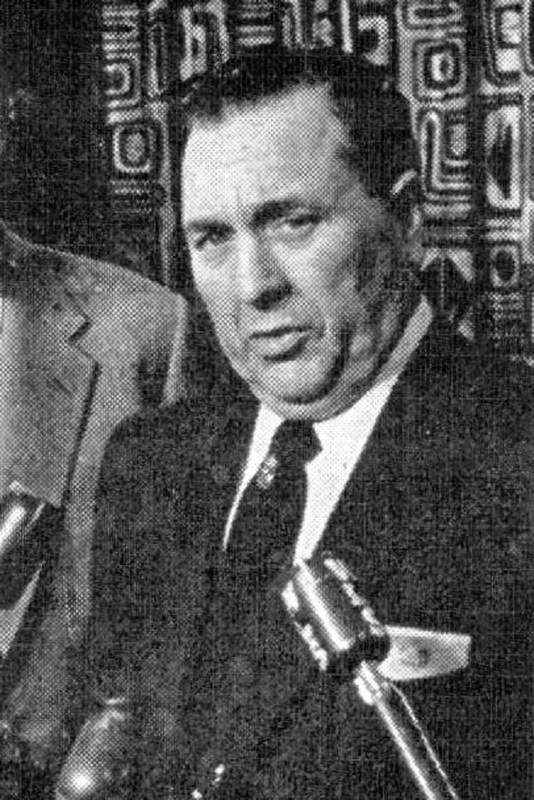 Since 1947 Chicago’s mayor had been Martin Kennelly, a well-meaning businessman the party mandarins had backed when they needed a clean candidate. By 1955 they were getting tired of him. The Democrat slating committee dumped Kennelly and selected Daley. Kennelly refused to go. He ran against Daley in the primary, saying the party bosses were trying to bring back the bad-old-days of corrupt government. Daley won anyway. Now Daley gave a hint of his political brilliance. His running mate for treasurer was involved in a scandal. Daley replaced him with Morris B. Sachs, a popular merchant and TV sponsor–who had been on Kennelly’s primary slate. The Republican candidate for mayor was Robert Merriam, 5th Ward alderman. He was young, handsome, and articulate. He was an energetic campaigner. 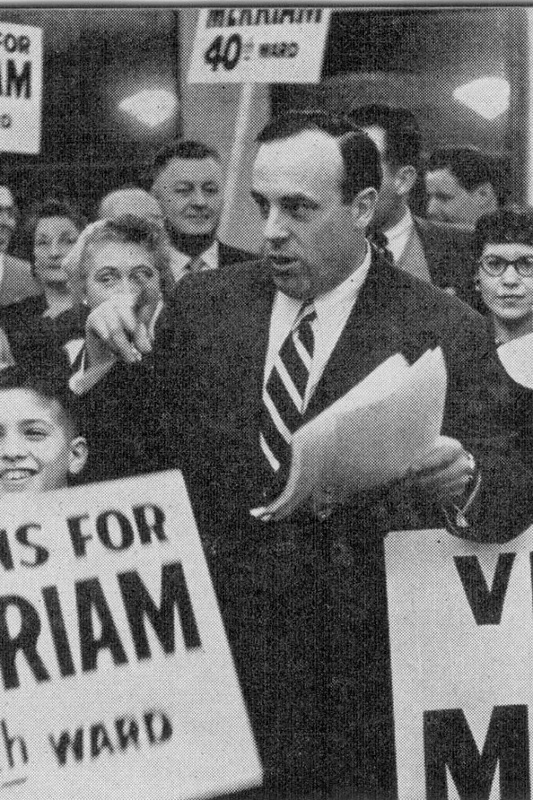 In 1955, nobody said you couldn’t elect a Republican as Mayor of Chicago. Merriam had all the charisma. Daley depended on the Democrat organization to get out the vote. Critics repeated the charge that he was just a puppet for the backroom power brokers. Three of the city’s four major papers endorsed Merriam. Early in the campaign, Merriam led Daley in the straw polls. On election night, it wasn’t close. Merriam received 581,555 votes. Daley got 708,222.